Gifts to the Area of Greatest Need allow the foundation to support the most pressing needs of Tahoe Forest Health System and its patients. The foundation board of directors approves the use of these funds to purchase new medical equipment, pay for the latest technology and provide support for special programs. Gifts to Capital Projects are used to fund facility upgrades. 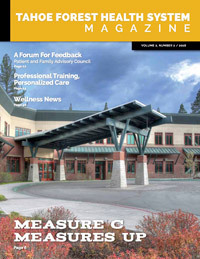 The Tahoe Forest Health System Foundation board recognizes that healthcare services are always evolving and our community hospital is no exception to the necessity of modernizations. We hear from patients every day who have had a positive experience at the hospital. If you have comments, please do not hesitate to contact us. We want to celebrate what we do well and continually work to improve all of our services. Please contact the Tahoe Forest Health System Foundation at (530) 582-6277. 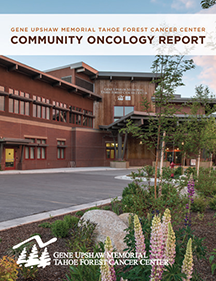 Located in the High Sierra town of Truckee California, Gene Upshaw Memorial Tahoe Forest Cancer Center has a purpose as rarified as its elevation. Our goal is to provide the best rural cancer treatment in the country, and to do it in the most honest, supportive and compassionate way we know how. Led by Medical Director and Oncologist Laurence Heifetz, MD, FACP, Medical Oncologist and Hematologist Melissa Kaime, MD, FACP, Medical Oncologist and Hematologist Ahrin Koppel, MD, Radiation Oncologist Daphne Palmer, MD, and Medical Oncologist and Hematologist Thomas Semrad, MD, MAS, FACP, the Gene Upshaw Memorial Tahoe Forest Cancer Center’s mission is to provide our local community with a high level of cancer treatment and support programs not often found in rural settings. Simply put, our technology is the very latest. Our treatment options are the most current, including access to clinical trials through our affiliation with the UC Davis Cancer Care Network, and our supportive care programs are among the best in the country. 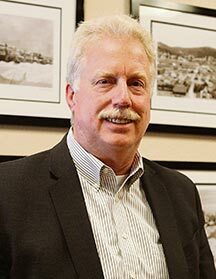 Tahoe Forest Health System Foundation has established the Spirit of Giving Fund as a meaningful way to honor those who have demonstrated extraordinary dedication to the enhancement and enrichment of healthcare in our community. Click here to make a gift to support the Spirit of Giving Fund. Tahoe Forest Hospice is a specialized program that offers skilled comfort care for patients who are facing the end of life. Our mission is to enhance the quality of life, help preserve personal dignity, provide effective pain and symptom management, and support patients and their families physically, emotionally, and spiritually. 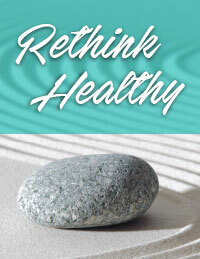 Tahoe Forest Home Health provides quality care services in your home under the direction of a physician. We will provide care that is tailored to a patient's needs with the right mix of individuals and services. Registered nurses, Home Health Aides, Physical Therapy, Occupational Therapy, Speech Therapy and Medical Social Workers all work collaboratively on the plan of care. Whether you are recovering from an illness or injury, have a medical condition that requires frequent assessment or require rehabilitation to increase your strength or activity tolerance, we have a service to help you. 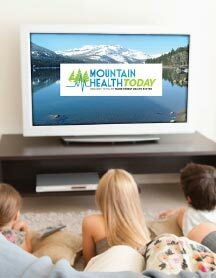 Tahoe Forest Home Health Services allows you to stay home so you can heal in comfortable and familiar surroundings. Home Health Care is available 24 hours a day, 7 days a week. The goal of the Joseph Family Center for Women and Newborn Care is to anticipate your needs, earn your trust and exceed your expectations. Our Emergency Room and Joseph Family Center for Women and Newborn Care are both Safe Haven Baby Drop-Off locations. They allow mothers to surrender their newborns without any questions asked. Babies are given medical attention, and confidentiality for the mother is assured. The Joseph Family Center for Women and Newborn Care is certified Baby-Friendly. This certification awards hospitals that have made a dedicated commitment to implement the ten steps in aiding mothers with breastfeeding. We offer a nurturing environment that supports mother and infant bonding immediately after delivery. The Annalise King Hall Fund established by Lindsay and Josh Hall to assist grieving parents when dealing with the loss of a newborn. The Wellness Neighborhood was established in 2012 to address community health needs by developing a community-based and collaborative system of care to improve population health in the high sierra region. Trusting your loved one's care to others may be one of the most difficult decisions you ever have to make; often it is the best decision. Ensuring comfort, compassion and personal attention, the Long Term Care Center (LTC) provides 24-hour care that enables your loved ones to maintain an optimal level of functioning and well-being. Residents, staff, and families work together to develop and coordinate care plans that cater to residents' every day needs. Offering 37 beds, the Long Term Care Center has created a warm and friendly environment to help residents feel comfortable and safe. Emergency and Acute Care are available 24 hours a day at both Tahoe Forest Hospital and Incline Village Community Hospital. The Foundation has established an Emergency Patient Assistance Fund which provides modest sums for food, a change of clothes, transportation and other essentials that make a difference for patients during a difficult moment in their lives. In certain instances, we can help individuals or families with bigger needs like rent, utilities and furniture to ensure patients return to a stable and healing home environment. In the saddest cases, we help with funeral expenses. If you have any questions about donations, please contact the Tahoe Forest Health System Foundation at (530) 582-6277.